Our q screen panel discuss Beyoncé and Jay-Z's new joint album, which has sent the internet into a frenzy. Every Monday, the q screen panel convenes to look at big stories happening in the film and television worlds. 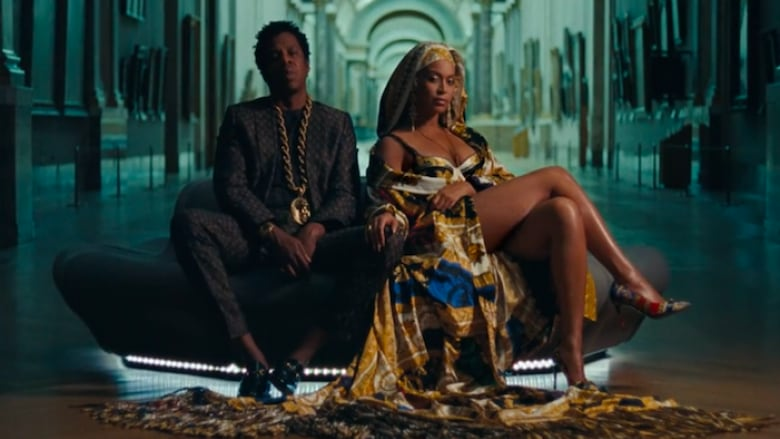 This week, arts and entertainment writer Tina Hassannia and award-winning filmmaker Charles Officer join Tom Power to discuss Beyoncé and Jay-Z's surprise joint album and music video, which have sent the internet into a frenzy. Hassannia and Officer also talk about why animated sequels like Incredibles 2 can take so long, and the lack of diversity in film criticism. Watch Beyoncé and Jay-Z's music video below. Warning: strong language.